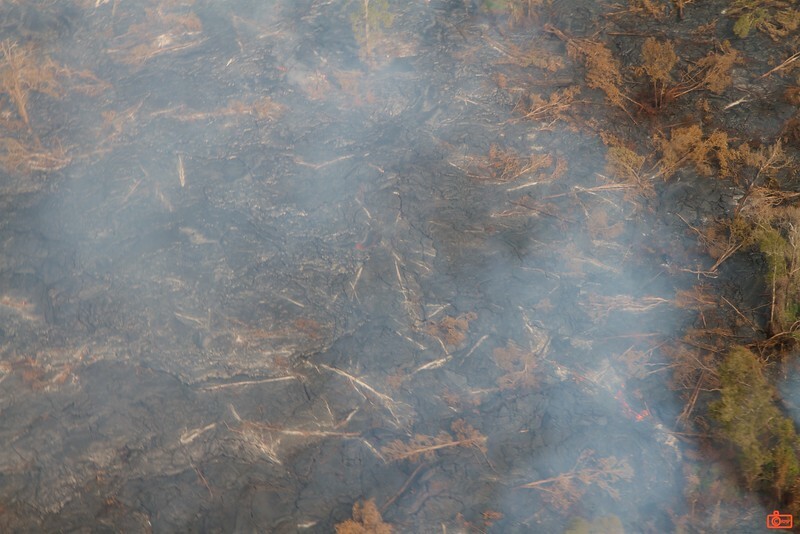 This is the active lava flow from the Kīlauea volcano. The smoke is from trees burning from the heat. If you look closely you can see some of the lava seams, but most of the lava is under the solidified surface.